A logical choice. 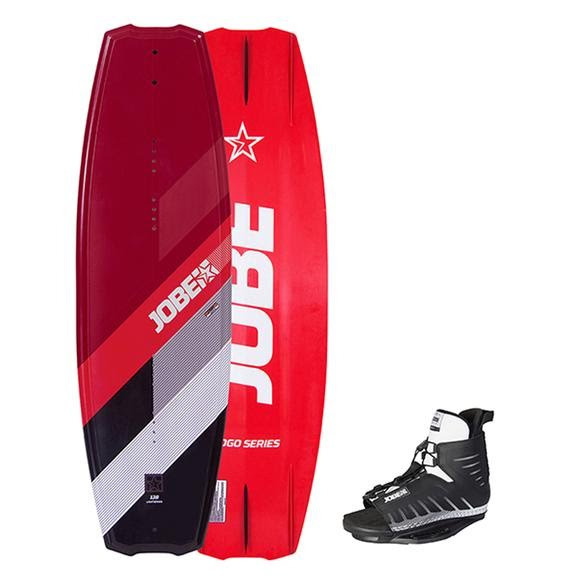 The Jobe Logo Series 138 is the perfect intermediate board when riding behind the boat. It has a light and playful feeling thanks to its 3-stage rocker and integrated fins. Open toe bindings are also perfect for sharing with other people who have different foot sizes. Pull loops make sure your feet are properly locked in.